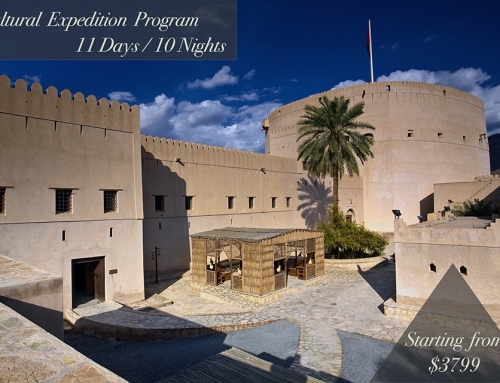 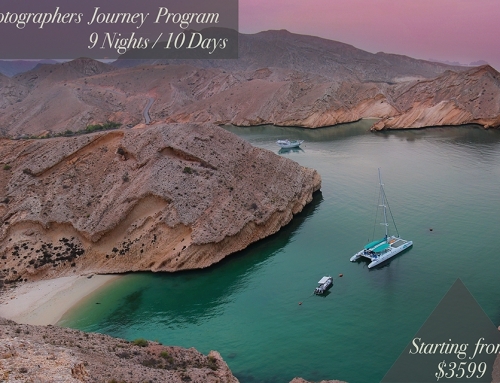 We believe that Oman can be discovered in many ways and we present this tour for those adventure seeking travelers. 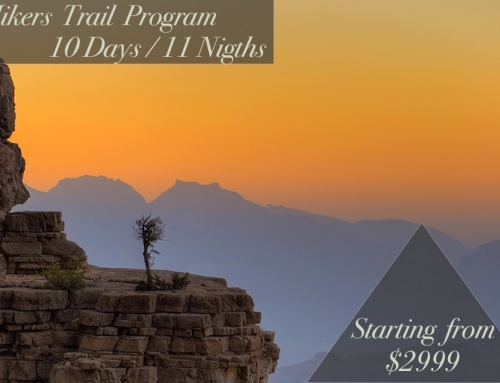 With several spots for activities such as camping, trekking, swimming etc. 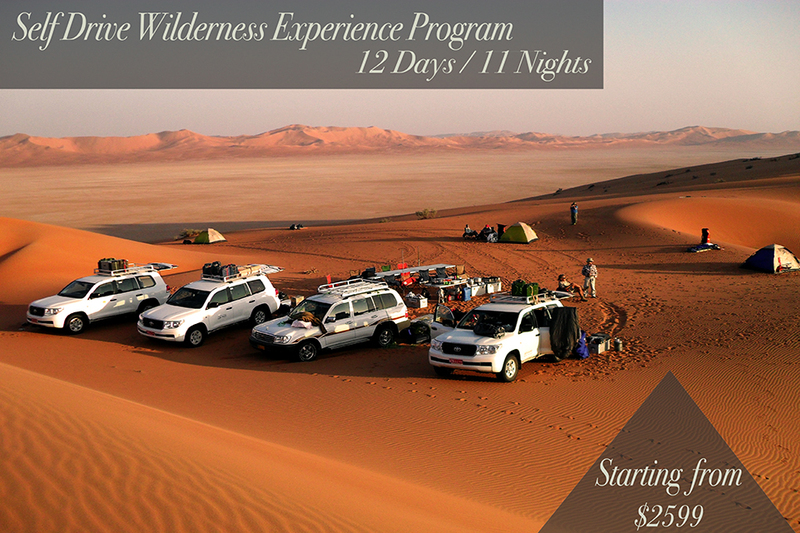 you are surely going to be at the edge of your seats! 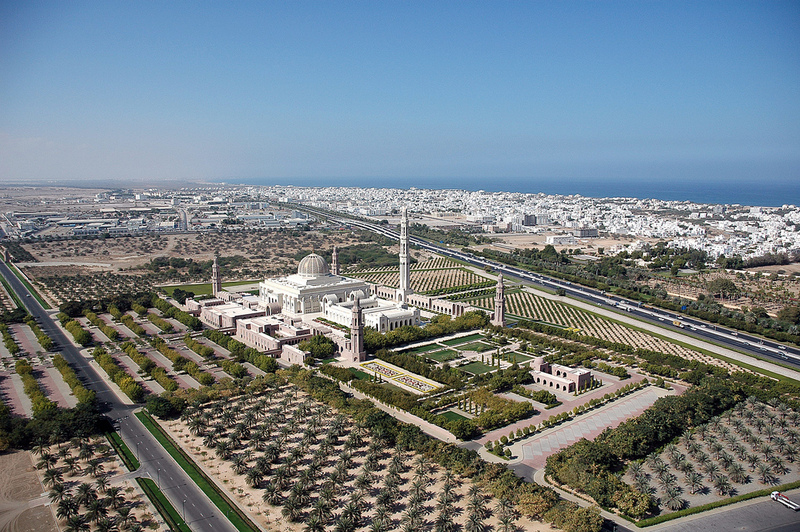 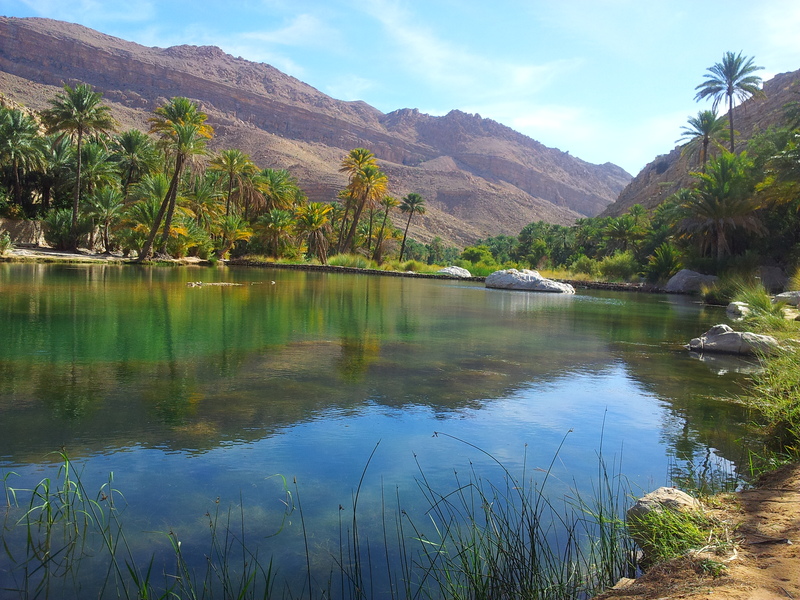 Lots of picturesque locations and exciting paths await you in Oman. 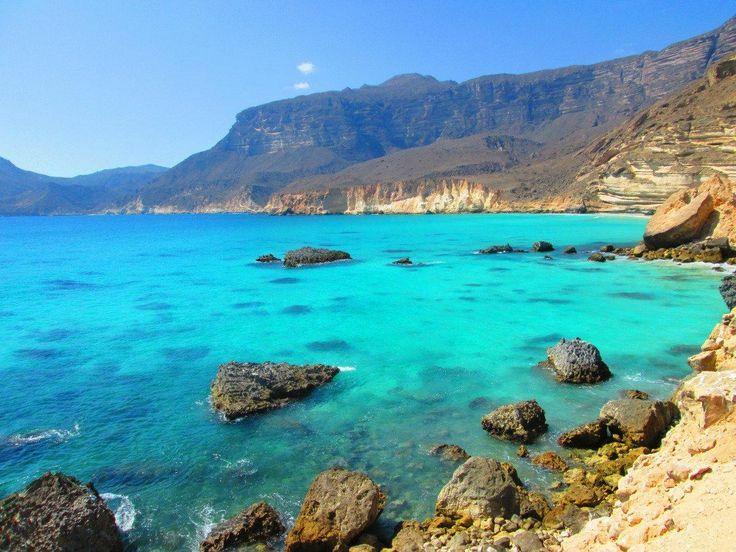 Leaving Muscat, you will travel along the coast visiting a gorgeous sinkhole, beautiful beaches, wadis and villages. 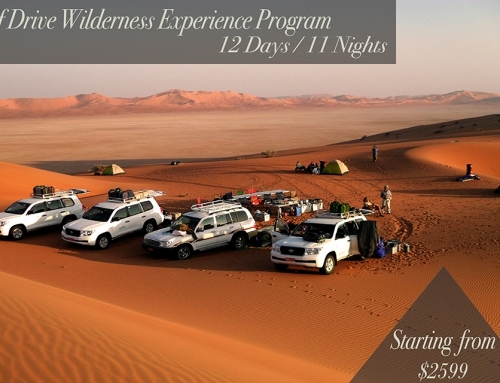 The views are enthralling and provides fantastic photographic opportunities. 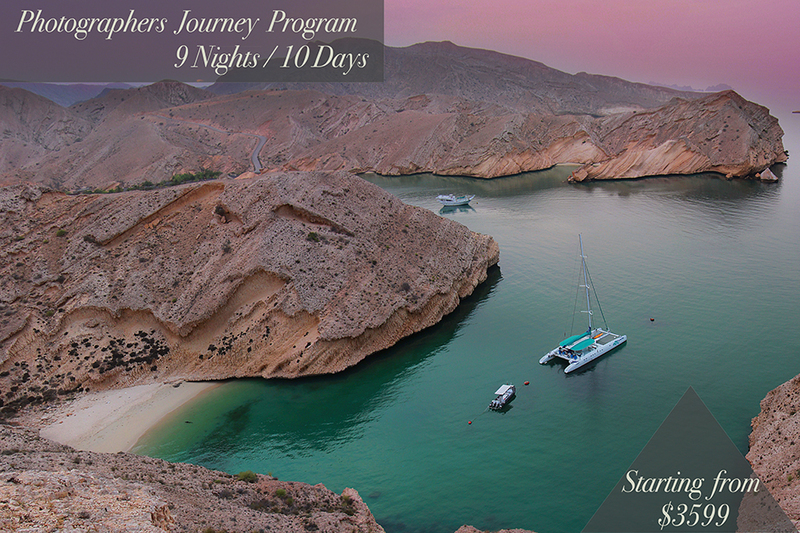 You will be camping by the beach tonight for a thrilling experience! 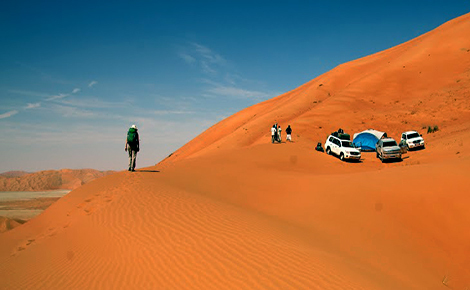 After watching the sun rise over the dunes, you will leave for higher altitude. 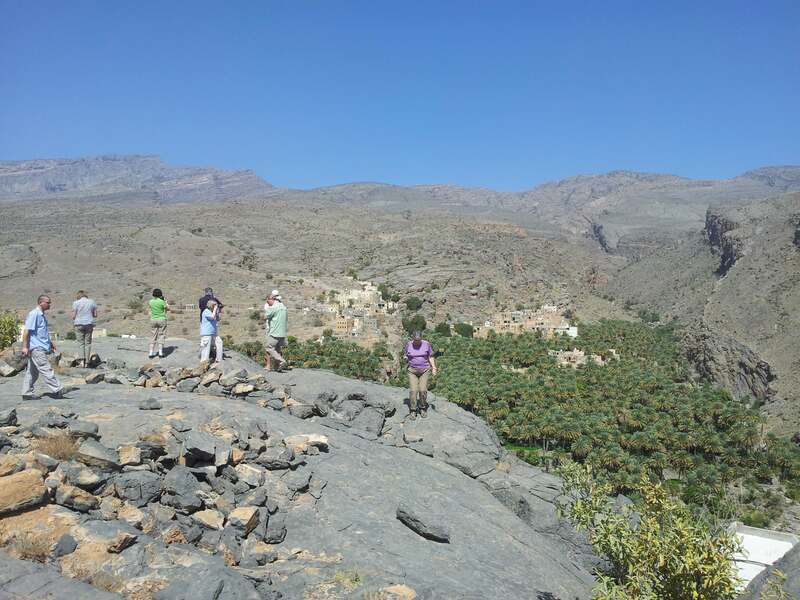 On the way you will visit a traditional market and walk through the nice Terrace Gardens. 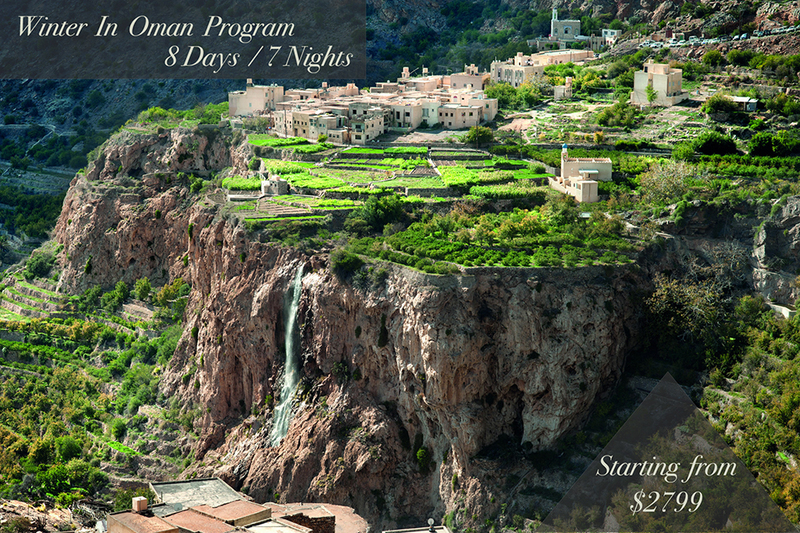 You will continue to drive to the top where you can view the Omani grand canyon and take some gorgeous pictures. 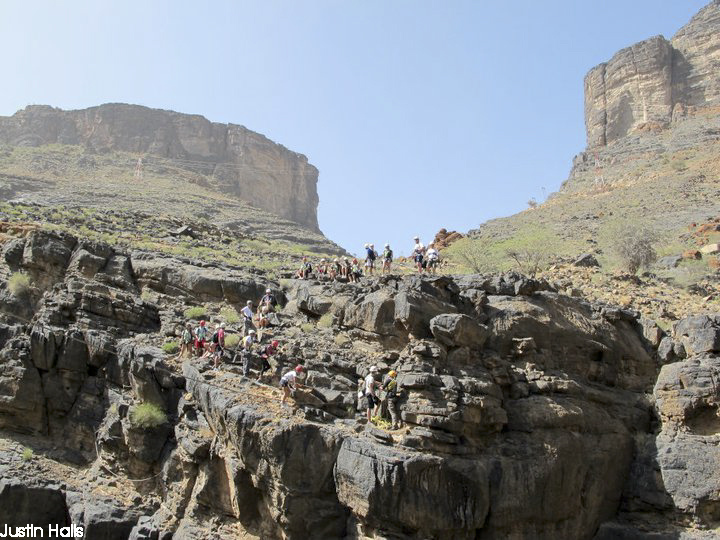 Get ready for some trekking today! 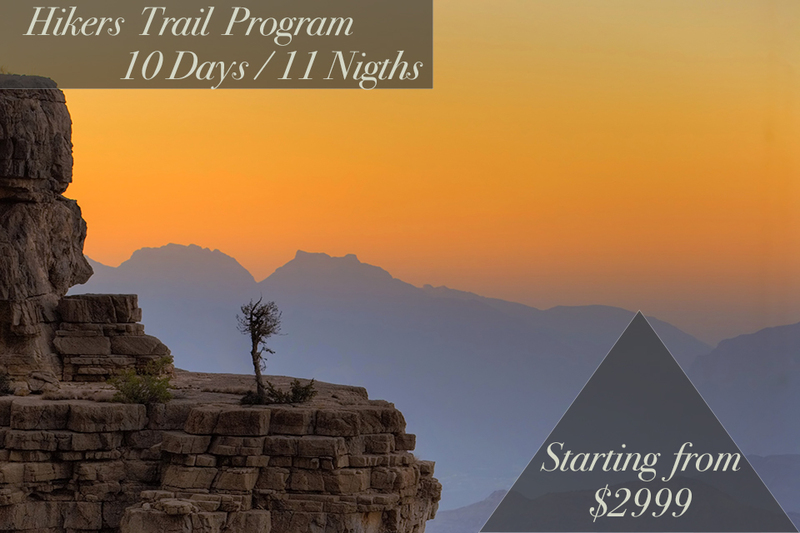 It will begin with the thrilling balcony walk of the grand canyon. 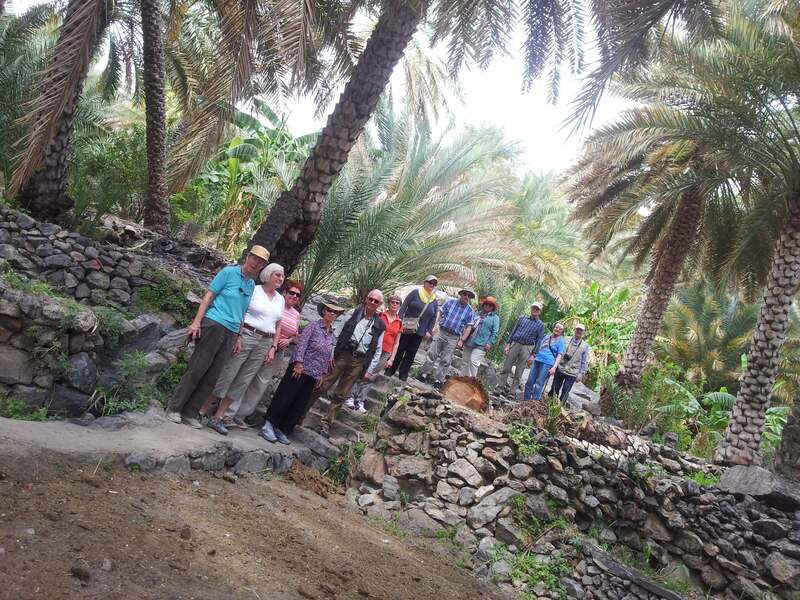 A walk by age old mud houses and date plantations make for great photo opportunities. 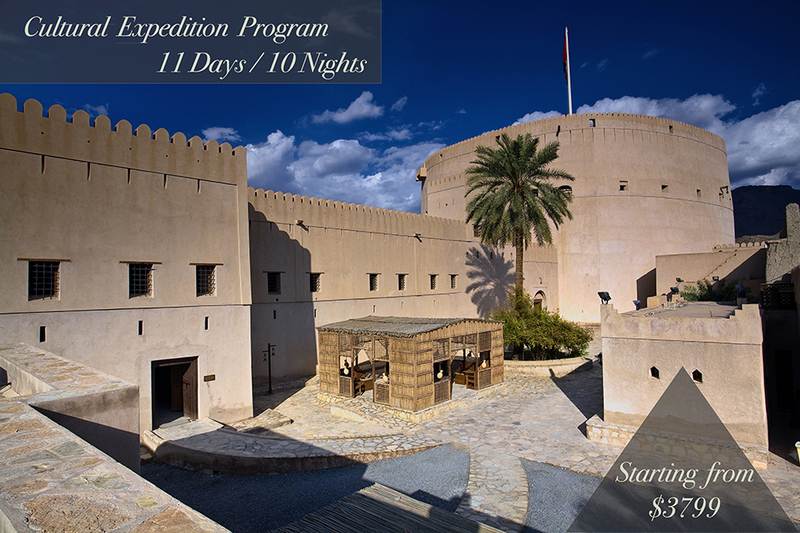 You will also be visiting a couple of forts and souqs and the tombs of ancient civilisation of the country offering some cultural insights! 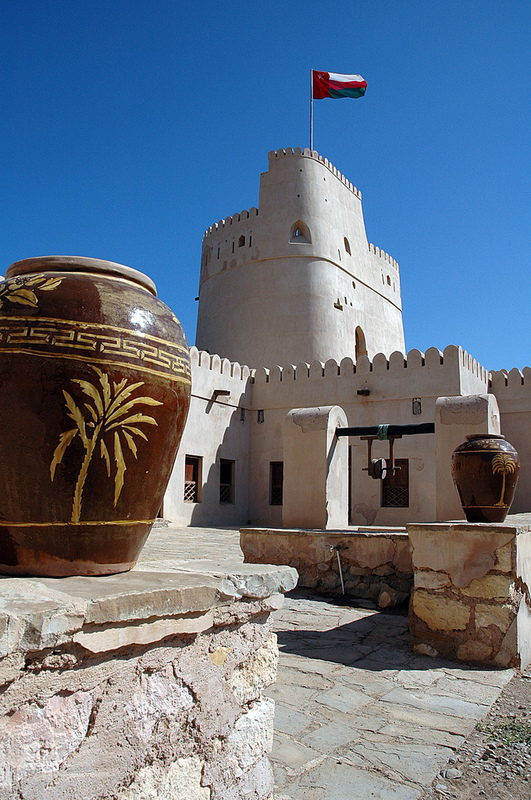 Drive towards Mussanah and halt by a natural hot spring for some relaxing and then take a short walk to the fort for some photo opportunities and then drive forward to Mussanah where you will check in to the hotel. 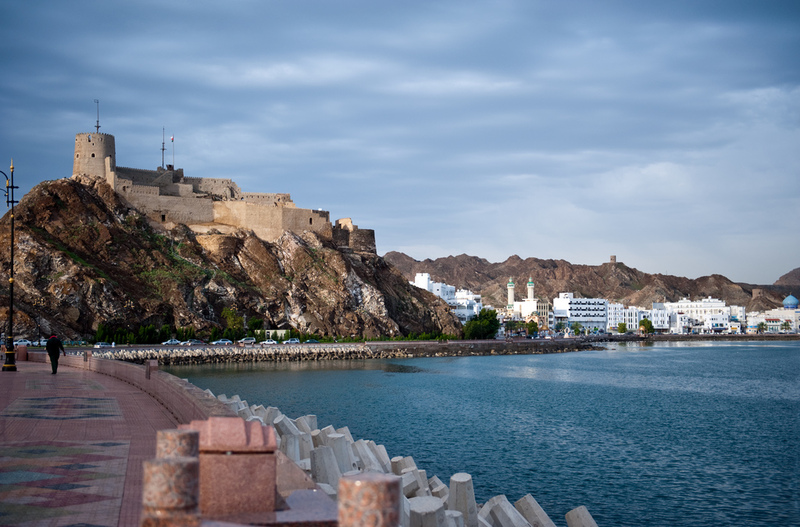 After a late check out from the hotel, our representative will transfer you to the airport for your departure back home! 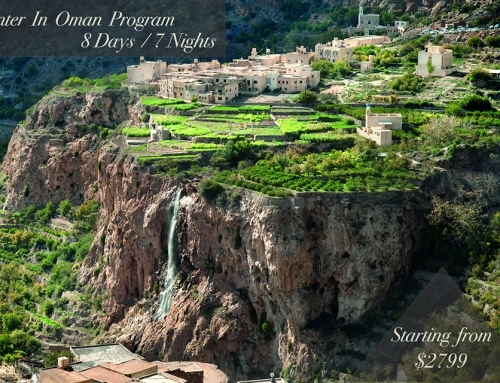 We hope you enjoy your time in Oman and will return for more!